This website was started in March of 2016 and has gone nowhere in over 2 years, but finally a passionate lucid dreamer (Konrad age 29) here in Edmonton contacted me (Roger age 75) and we started meeting on a weekly basis. There is nothing like live eye-ball to eye-ball contact between two passionate lucid dreamers to get motivated. Konrad has taken a related course in Honduras and has been actively lucid dreaming for the past 5 years. He avidly reads Lucid Dreaming books, experiments with supportive herbs and started a Lucid Dreamers Start-Up in Edmonton on May 7, 2018. 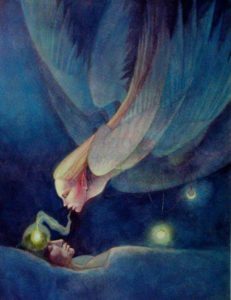 I found that the best way to develop and sustain lucid dreaming skills is to have personal support, from experts as well as other passionate dreamers.. The twice a month Meet-Up are held on the 2nd and 4th Tuesdays of each month. in July, 2018 for Edmontonians of all ages who are interested in either learning the basics of Lucid Dream or enhance the skills they have already developed.